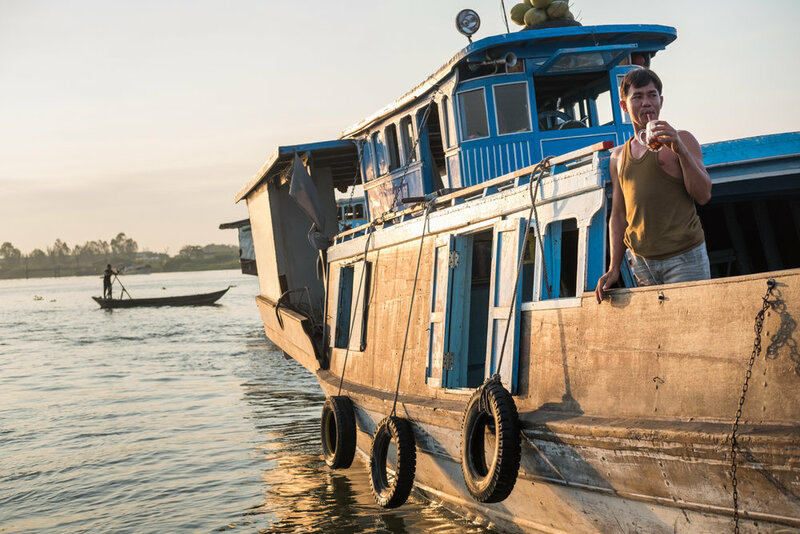 Life along the Mekong River is fascinating. For three weeks, I traveled from Siem Reap, Cambodia to My Tho, Vietnam aboard The Jahan with National Geographic and Lindblad Expeditions. Each day, I visited small local villages and communities to learn about the region's storied past, explore the vast landscape and experience unique cultural aspects. 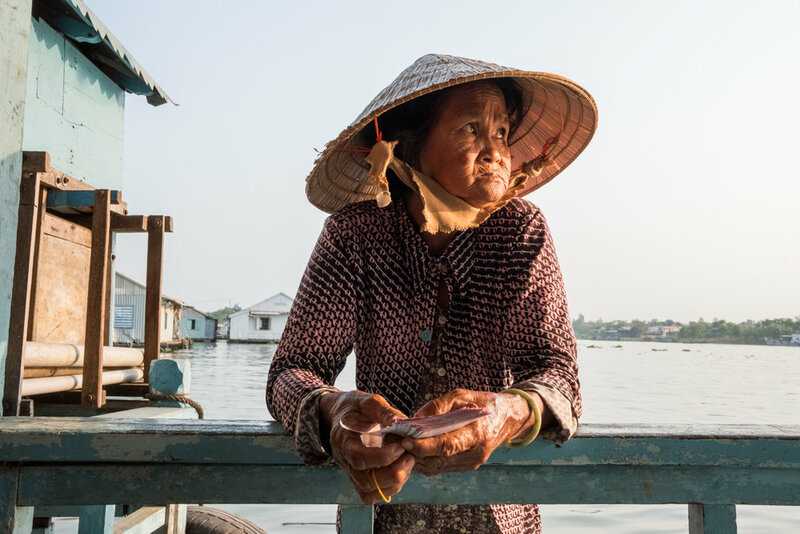 A few highlights include - riding through the countryside in an ox cart, learning how to make rice paper and rattan mats, buying local fish and produce from a floating market and sampling the wondrous amounts of fresh food. A few images chronicling the journey are below. 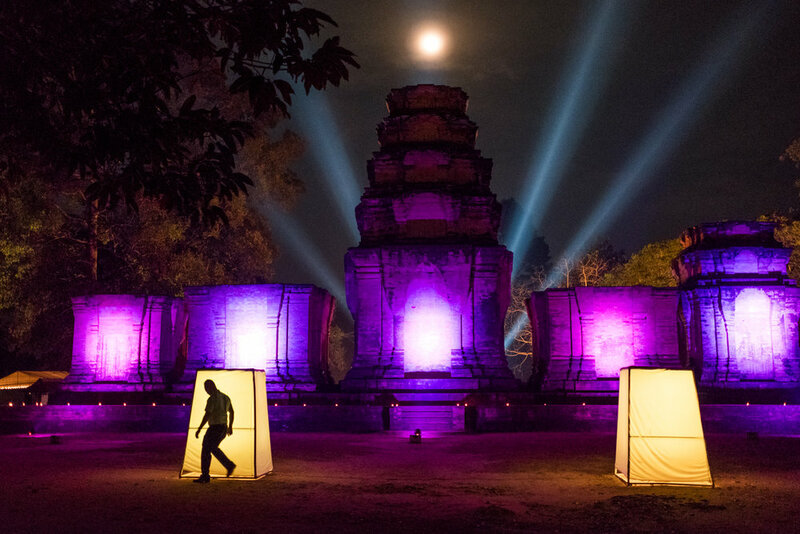 A full moon shines through the haze above Prasat Kravan, a 10th-century temple located in Angkor, Cambodia. 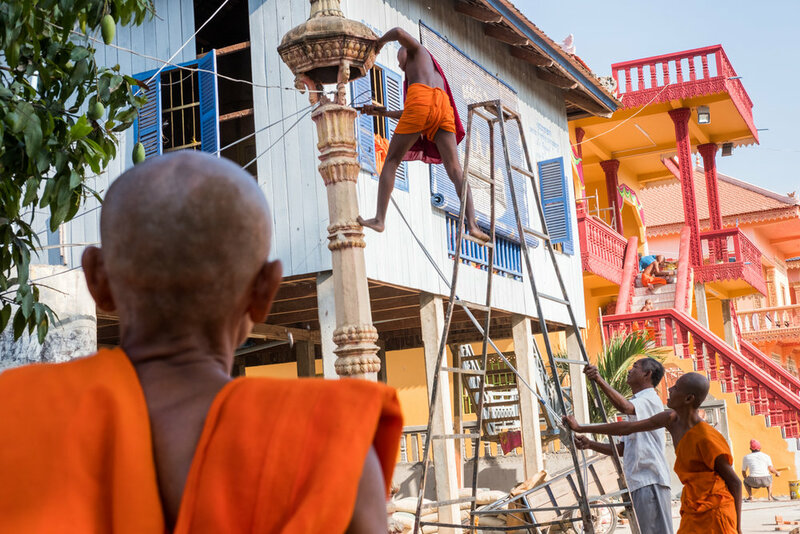 A group of monks perform construction activities outside their temple in Angkor Ban, Cambodia. 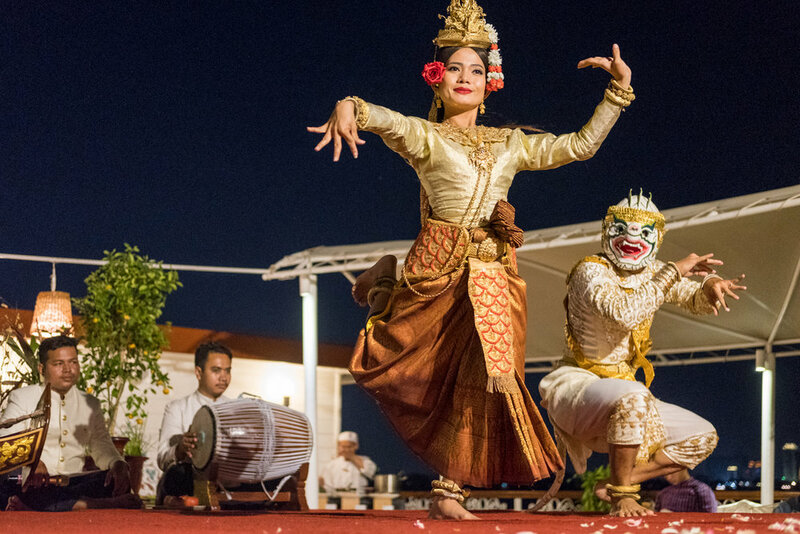 Apsara dancers perform the mermaid dance in Phnom Penh aboard The Jahan. At the floating village in Chau Doc, Vietnam, boats gather in the Bassac River to buy/sell produce and fish. Here, a vendor pauses for an early morning drink. 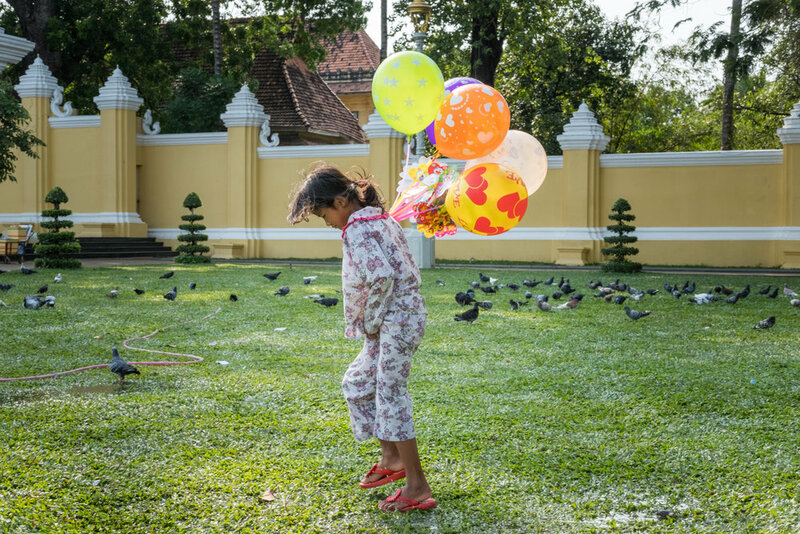 A young girl selling balloons walks through a wet and muddy field outside the palace in Phnom Penh, Cambodia. A crewman aboard The Jahan cleans his mop at a dock in My Tho, Vietnam. 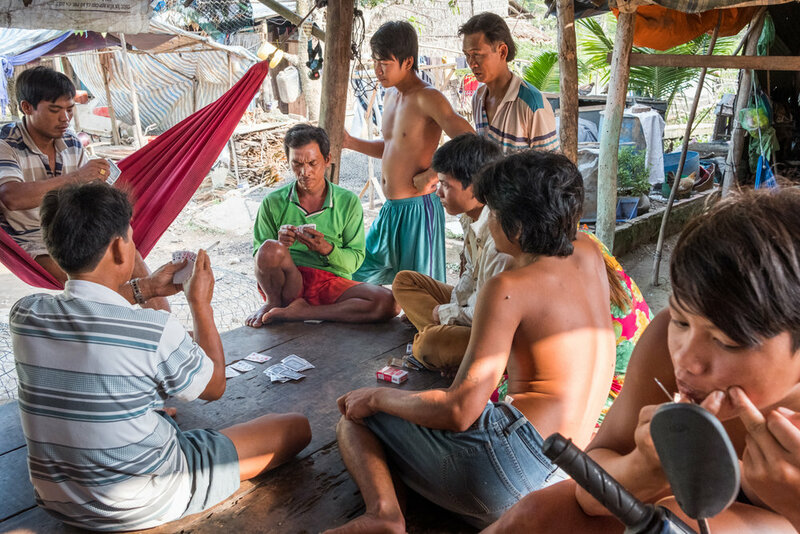 The peaceful Binh Thanh Island is a wonderful locale within the Mekong Delta to see how Vietnamese villagers live, including the everyday simple activities like playing cards and popping pimples. 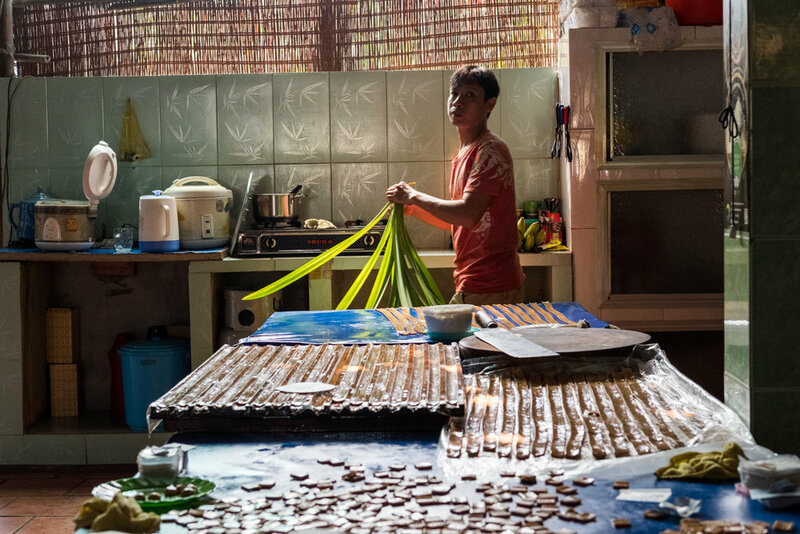 In Cai Be, a man prepare ingredients to make candies from palm sugar. Chau Doc, Vietnam is one of the best places to see villages comprised of floating houses and fish farms. While visiting one of the houses, this woman approached in her boat and asked if I’d like to buy lottery tickets. On Binh Thanh Island, a local woman works on a rattan mat. 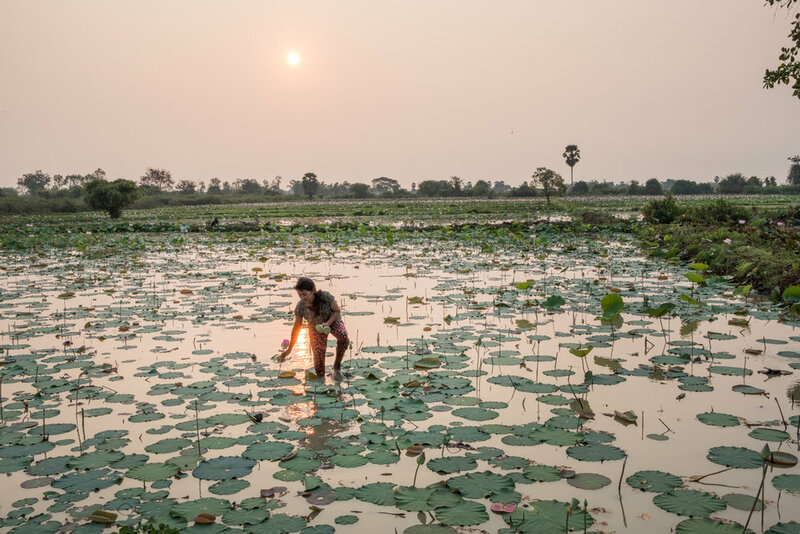 In Kampong Tralach, Cambodia, a small district along the Tonle Sap River, a woman wades through a field picking lotus flowers. 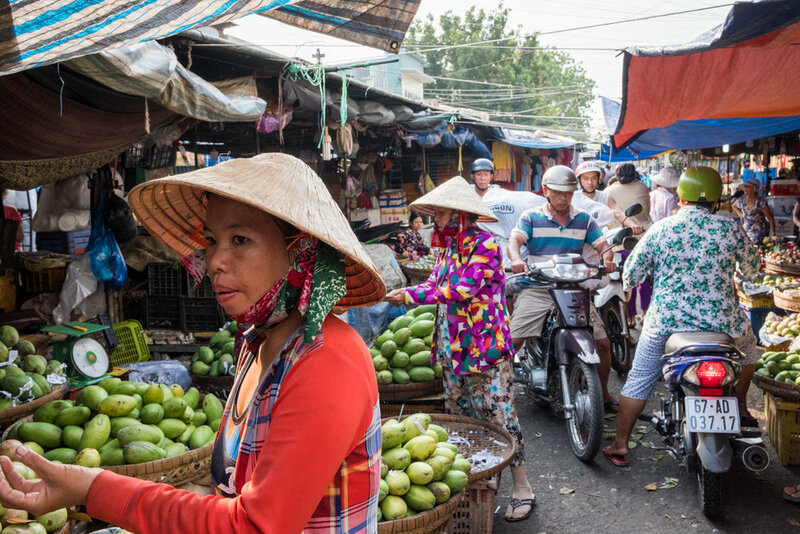 People crowd the daily market in Chau Doc, Vietnam. An uncle and his nephew pause next to a structure in Kampong Chhnang, Cambodia. 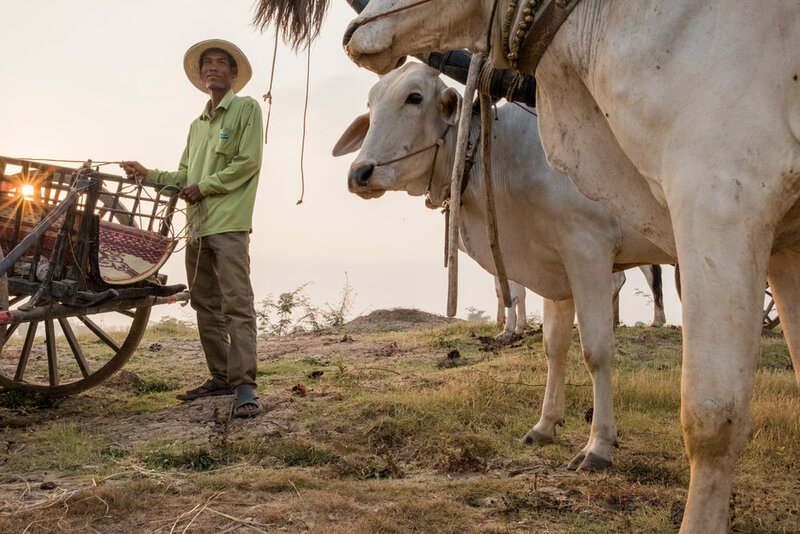 A man pauses with his Brahman cattle and oxcart in the village of Kampong Tralach, Cambodia. 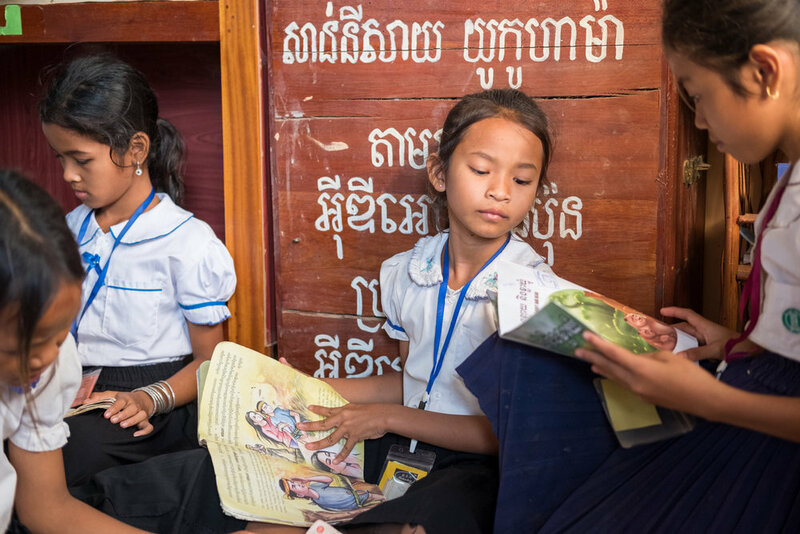 Several girls read books inside the library of a local grammar school in the village of Kampong Tralach, Cambodia. 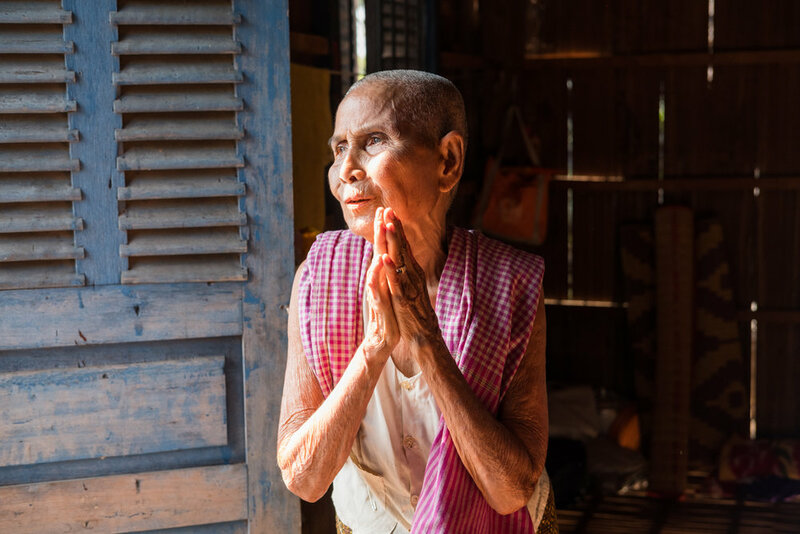 A local Cambodian woman in the village of Angkor Ban pauses for a moment of reflection in her home's doorway. A cyclist rides through the majestic scenery and entrance gate to the Angkor temple complex. 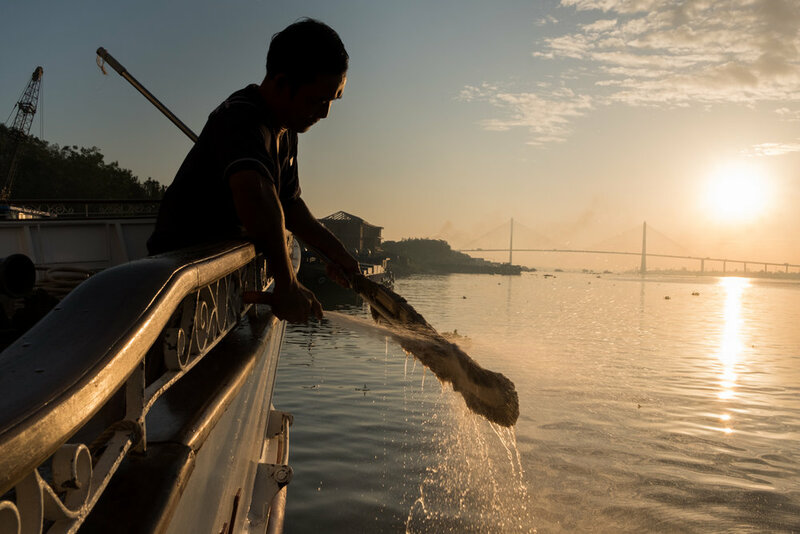 In Chau Doc, Vietnam, boats line up at sunrise to prepare for selling goods at the floating market.